The Guangdong DRC recently published the Guangdong Onshore Wind Development Plan for the period covering 2016-2030.By year end 2015, Guangdong province totaled 61 onshore wind plants, giving the province a total on-grid capacity of 2.46 GW. Currently there are 50 onshore wind plants under construction, with a total capacity of 2.84 GW. 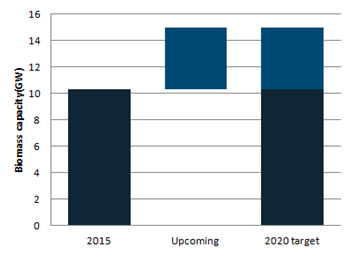 The plan also specifies wind targets for 2020 and 2030, with onshore wind expected to reach 6 GW by 2020 and 10 GW by 2030. 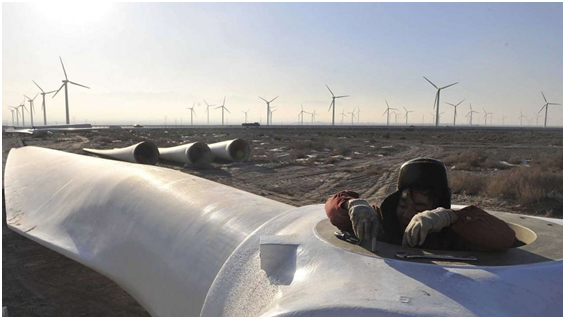 Following this pipeline information Guangdong province is planning on building 147 onshore wind plants with a total capacity 8.7GW. This pipeline also includes 50 onshore wind projects that were approved before the end of 2015, with a total capacity of 2.9GW. While northern provinces continue to battle high curtailment levels, new capacity additions are gradually shifting south, with southern provinces targeted to receive 64 GW, which occupies 64% of new capacity additions during the Thirteenth 5YP. Apple currently supplies its manufacturing plants with 93% clean power, which it aims to increase to 100%. In October last year, the company announced it planned to build 200 MW of solar capacity in China and to partner with its local suppliers for 2 GW of clean energy in the coming years.